I feel like this summer should come with a style warning when it comes to FFG's posts. There is most definitely a theme evolving and it's more focused than any summer before that I can remember. True, dresses have always basically been THE season dress code. For 2017, however, the dresses seem to all be shirt dresses. 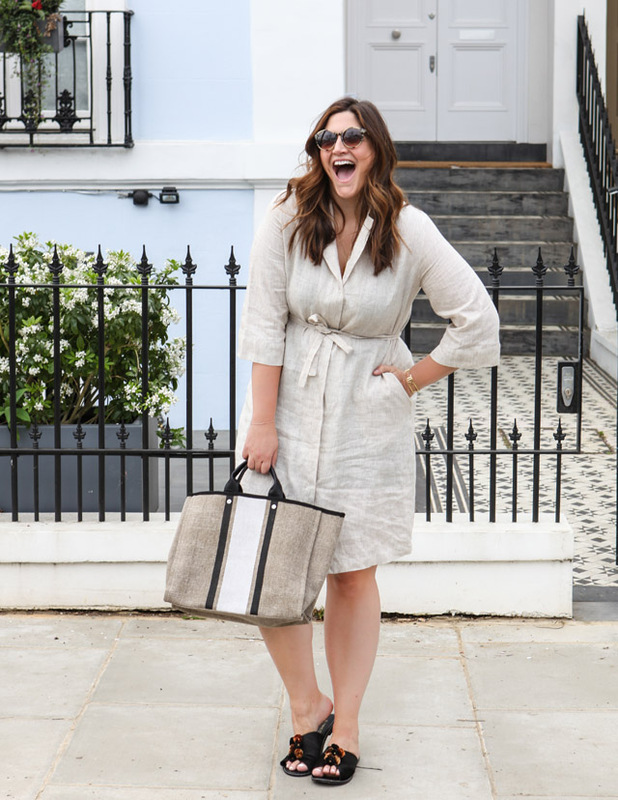 There is a sophistication with a shirt dress that really takes things up a notch in the style meter. So I'm investing, in a big way. In fact, I already wrote a piece talking about 36 Shirt Dresses to buy this season and I'm adding one more to the bunch after a recent discover at Marina Rinaldi. 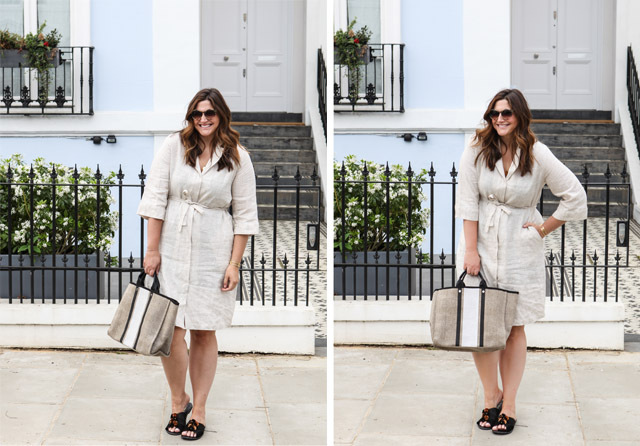 This is the linen shirt dress of my dreams. It's simple, wears well, can be styled 1000 different ways and is such good quality I'm pretty sure I'll grow old with it being a seasonal favourite for decades to come. How's the for a glowing recommendation? Let's also talk accessories here for a moment. For those of you that are looking to stock up on bags and sandals, may I direct your attention immediately to NEXT. Of course the shoes and bag you see here are NEXT, but this is truly just scratching the surface when it comes to the offering. Take a look. I promise you won't be disappointed. And have I ever let you down? (God, I hope you are answering no there....).